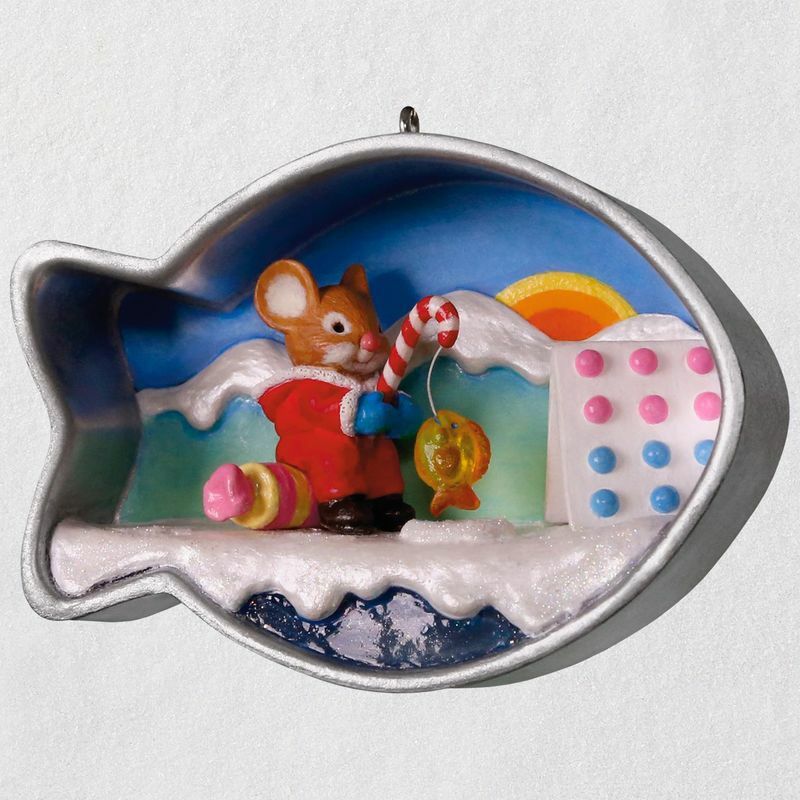 Dressed in a snowsuit, this sweet, smiling mouse braves the cold to engage in a popular winter tradition: ice fishing. The candy button tent and candy cane fishing pole are the perfect finishing touches. 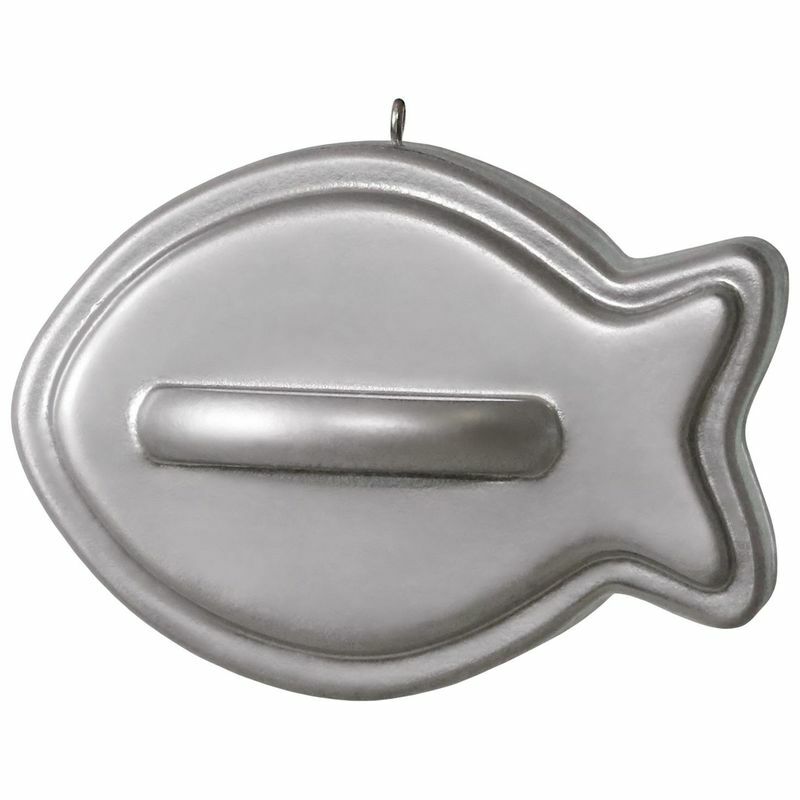 This fish-shaped Christmas tree ornament is the 7th in the Cookie Cutter Christmas series. 7th in the Cookie Cutter Christmas collector's series. Measures 3.11" W x 2.4" H x 1.45" D.